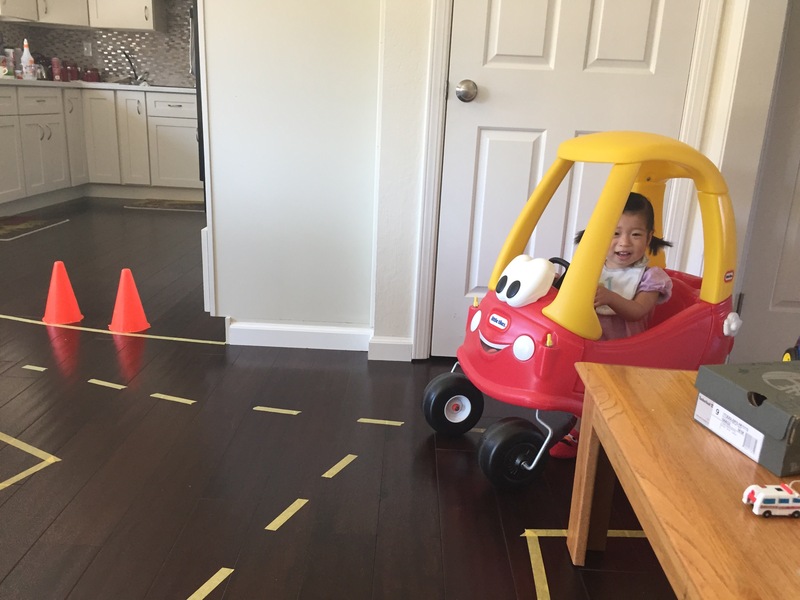 One ways, Turnabouts, & Roundabouts – Have a fun day! 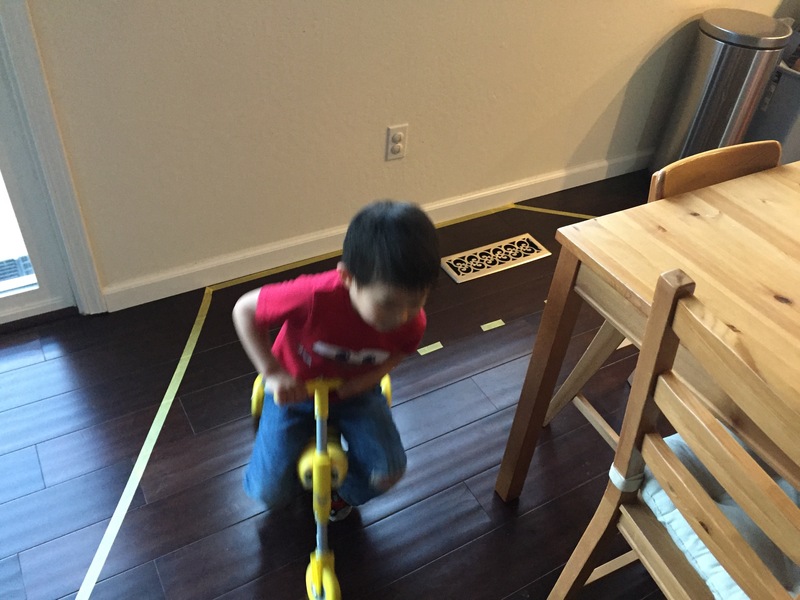 Turnabouts, roundabouts and one ways… Using painter’s tape, I’ve turned my house into speed zone for preschoolers and toddlers. Okay, just one preschooler and a toddler. 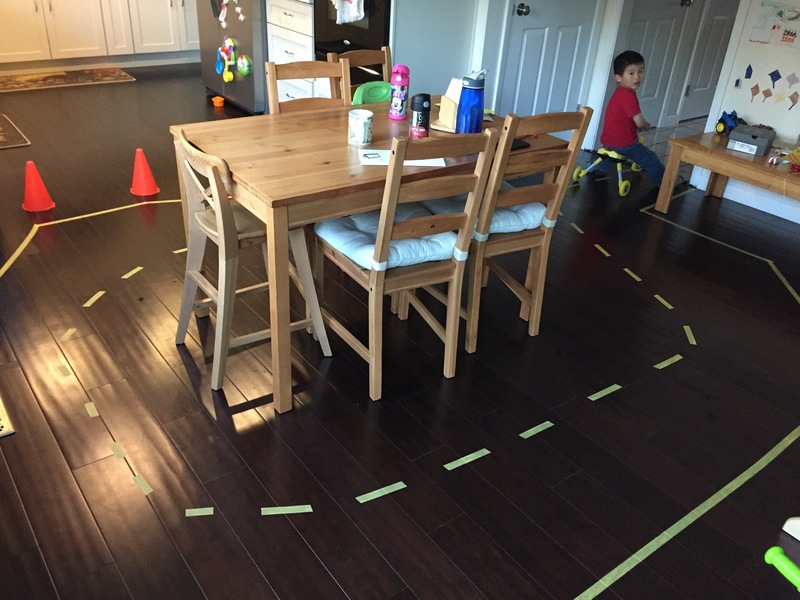 I thought this will stop the 4 yr old from running over the 1 yr old…hahaha! 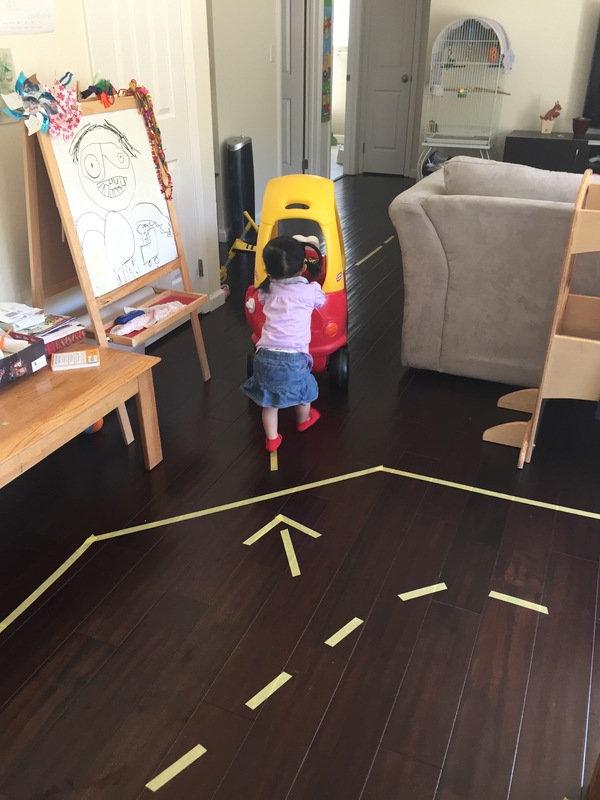 1 yr olds will go whichever way she wants. But for some reason this makes it more fun for me to watch! Causing traffic, taking her sweet time.